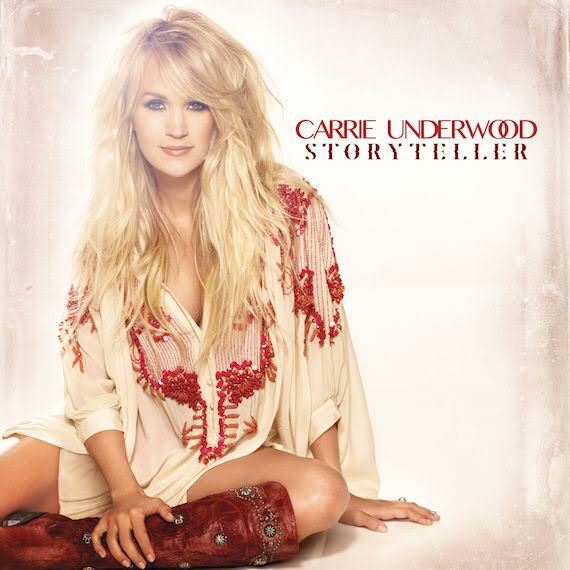 Carrie Underwood’s album launch for Storyteller has a happy ending, as the superstar’s new collection debuts at No. 1 on the country chart this week. Accounting for streaming and digital singles, she achieved sales of 177K units (164K album only) and enters the overall album chart at No. 2. Meanwhile, Blake Shelton secured 40K units (33K album only) of Reloaded: 20 #1 Hits, hitting the No. 2 spot on the country album chart and No. 5 on the overall chart. Luke Bryan’s Kill the Lights (14K), Thomas Rhett’s Tangled Up (12K) and Don Henley’s Cass County (10.5K) round out the Top 5 country albums sales. Sam Hunt’s Montevallo lands at No. 6 (10.5K), just ahead of a reissue of his acoustic mixtape, Between the Pines, at No. 7 (10K). Hunt recorded that set prior to signing to a major label. Jimmy Fortune, a member of the Statler Brothers, enjoys a No. 10 debut on the country album chart with Hits & Hymns (4K). Other new releases on the country album chart include Colt Ford’s Answer to No One: The Colt Ford Classics (No. 14), The Cox Family’s Gone Like the Cotton (No. 55) and Kyle Park’s Blue Roof Sessions (No. 57). Meanwhile on the digital country tracks chart, Rhett continues to reign with “Die a Happy Man” at No. 1 (62K), trailed by Kane Brown’s “Used to Love You Sober” (46K), Hunt’s “Break Up in a Small Town” (33K), Cam’s “Burning House” (32K) and Bryan’s “Strip It Down” (32K). Keith Urban takes a bow with “Break on Me,” entering at No. 7 (22K). On the overall album chart, 5 Seconds of Summer’s Sounds Good Feels Good debuts at No. 1 with 192K units (179K album only). Adele’s astonishing “Hello” arrives on the digital tracks chart with 1.1 million units in its first week.